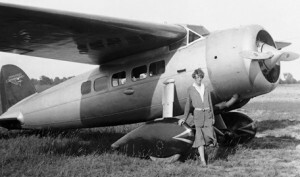 Five years to the day after Charles Lindbergh took off on his historic first solo flight across the Atlantic, Amelia Earhart takes off from Newfoundland. While her original destination was France, weather and mechanical problems force her to land in Ireland nearly 15 hours after she took off. She become the first woman and second person to fly solo across the Atlantic Ocean.